The name is even new! It is a Hebrew word that means "to acquire", but it has also been used in the bible of God originating, creating, and redeeming His people. When we arrived in Croatia, we met an amazing couple who had been dreaming of doing a project like this! The Charity shop has been opened since April 2012, and is thriving! They are open every day of the week now to help offer goods/clothing/etc... at very low prices to those in the surrounding communities. In this way they can provide much needed items to families and individuals at very low prices. Many come in to leave donations for things, who may not be in dire need but it is their way to contribute to helping families and individuals around them in need. 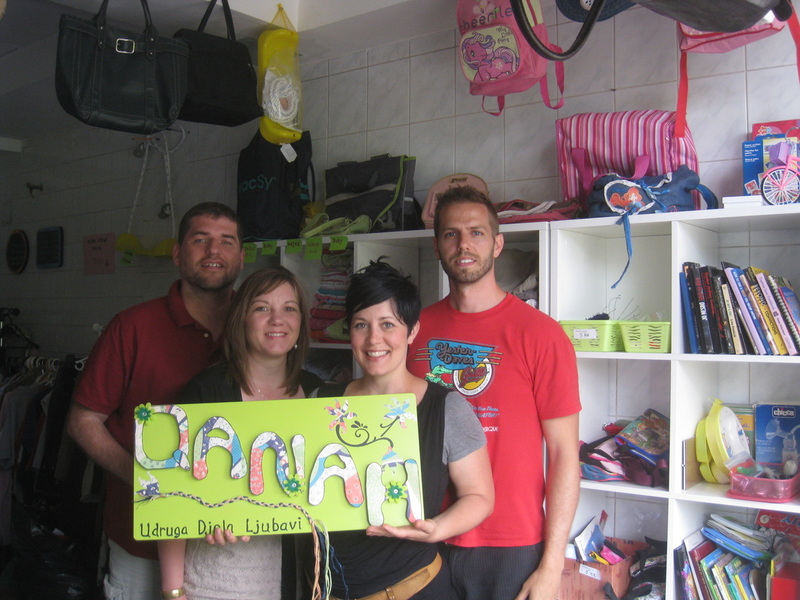 In the summer of 2012 and 2013 volunteers from Trevecca University came to Croatia and volunteered in this very Charity Shop! 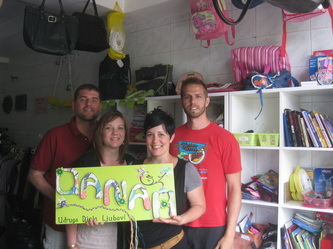 Our Compassionate Ministries non-profit, Djela Ljubavi, helped start this shop! And now Djela Ljubavi has a space of its own and now is beginning to run a community center, called The Hub.